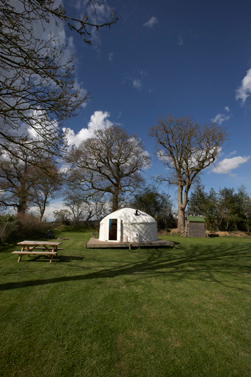 Oxenford Farm Yurts offer a special holiday where you can enjoy the beautiful country surroundings of a working Somerset farm. Pack your wellies and spend some time in the farmyard feeding the pigs and watching the calves feeding. Hire a chicken coup and have a fun and rewarding experience looking after chickens and eating their eggs for breakfast. All our 16ft yurts are set on wooden decking and are fully furnished with futons, bed linen, storage boxes and a wood burning stove to make your stay easy, relaxing and cosy. 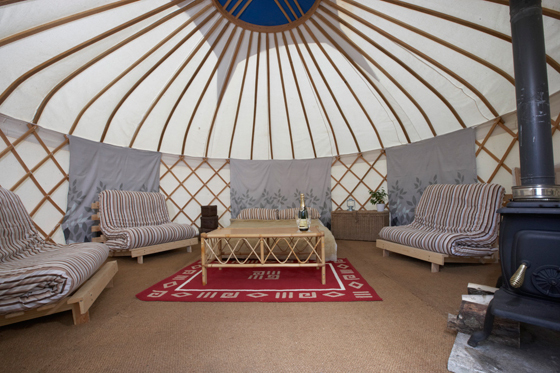 We offer a real camping experience with luxuries. No packing your car with everything but the kitchen sink or pitching your tent after a long and tiresome journey; just unpack and relax. Based in south Somerset we're perfectly positioned for visiting and exploring the whole of the West Country from Dorset, through Devon, down to Cornwall.